The Chevy City Express and the Nissan NV200 are classic cargo van choices for businesses. As you probably know, though, driving them can be a challenge. Visibility tends to be limited compared to consumer minivans and other vehicles, especially behind you. This 4.3” mirror monitor is designed especially for these two cargo vans, helping you navigate challenging driving and parking situations with unprecedented ease. When you put your van into reverse, the monitor activates automatically. Dual video inputs allow you to connect it to up to two EchoMaster front, rear, or side cameras for extra visibility options. 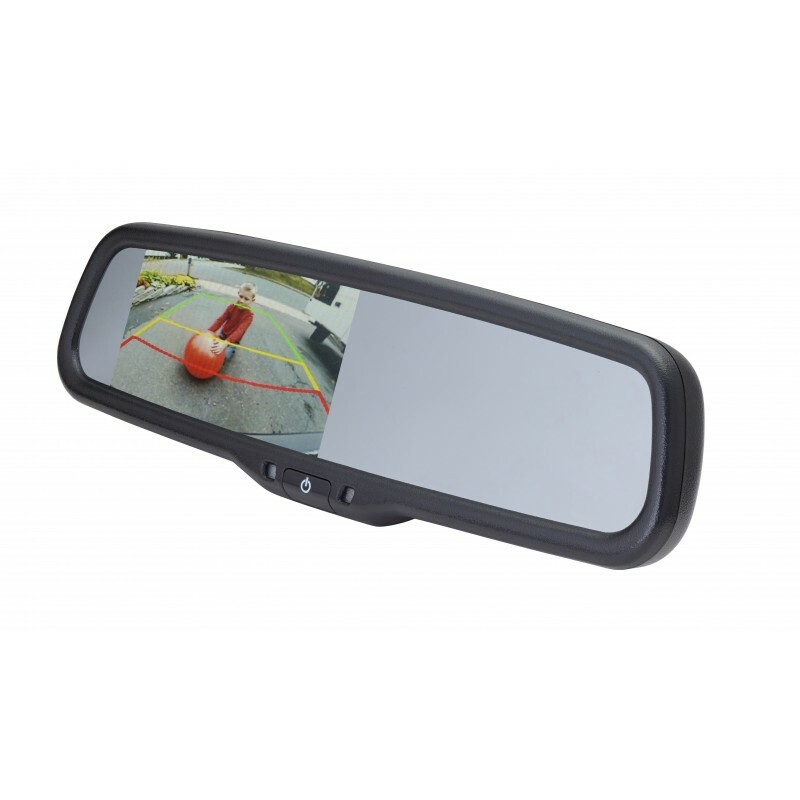 Parking guidelines help you see exactly where you’re going, preventing accidental collisions with hard-to-see obstacles in your van’s sizeable blind spots. It’s simple: the parking lines show you where you’re headed, helping you make precise adjustments to make your way through a tight spot.